Following the resounding success of my Locus Quest, I faced a dilemma: which reading list to follow it up with? Variety is the spice of life, so I’ve decided to diversify and pursue six different lists simultaneously. This book falls into my HUGO WINNERS list. This is the reading list that follows the old adage, "if it ain't broke, don't fix it". I loved reading the Locus Sci-Fi Award winners so I'm going to crack on with the Hugo winners next (but only the post-1980 winners, I'll follow up with pre-1980 another time). First of all – if you haven’t already – please go and read Keely’s wonderfully tongue-in-cheek review of this book. It’s one of my top-ten GR reviews and makes me chuckle every time! This is a quite remarkable book – a true blend of diverse styles that creates something new. One of those books where I started to tell my friend that “It’s a bit like...” and then tailed off, waving my hand around, unable to locate the end of that sentence. It’s a bit like many things. It’s a bit like nothing I’ve read before! It’s a bit good (but that’s a bit of an understatement). Winner of the Hugo in 2005 (holding off one of my all-time favourites in Miéville’s Iron Council), I can’t help but feel I should have read Jonathan Strange & Mr Norrell earlier than this – but I’m very pleased I’ve gotten around to it now. Let me get in my quick warning: it’s a slow burner. I think I turned to my wife at one point and said “I’m five hundred pages in and I think we’re getting to the good bit”. I have no probem with leisurely pacing, but not everyone has the patience for that kind of shenanigan. Fantasy is not always renowned for multi-faceted, complex and believable characters, but the cast of JS&MN are varied and superb – Strange, Norrell, Childermass, Black, Drawlight, Lascelles, Wellington, Segundus and Honeyfoot are all sketched elegantly and convincingly. The female characters are less attention catching, Mrs Strange and Mrs Poole both fall victim to the evil fairy, but there’s enough shown of their individual natures before that to carry them. Nobody felt like a caricature, or cliché, or only there to fulfil a plot requirement, and there was a touch of Dickens’ flair for minor characters really owning their appearances. Magic in fantasy can take so many different forms and flavours. Clarke has managed to create a world where magic is dreamy and amazing, but also somehow gritty and grounded. My favourite example is the ship stuck on the sandbar. Strange makes magical horses out of the sandbar to help pull the ship free, and as they’re made of the sandbar itself they help float her free when they move. But getting the magic sand-horses tied to the ship is a nightmare and when they lie down to sleep and turn back into sandbar’s in new places the sailor are angry at the disruption to their maps! Magic is slippery and innately difficult to wield accurately. Consequences are often unintended. Being a magician is hard work! There’s no point-and-click reliability. A bit of a deal-breaker for some it seems. Clarke makes extensive use of footnotes to expand and illustrate the history of the story. I read every single one (and even flicked back to find old ones where required). For me, these footnotes really highlight the passion and labour that’s been put into this book. They’re brilliant! Some people apparently find them frustrating and boring (I just don’t get it). One of the ways I judge a book is by how much time you spend thinking about the book when you’re NOT reading it. I found my head drifting back to JS&MN many times, in many different ways. 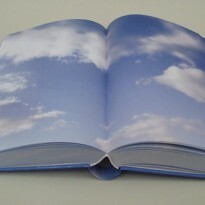 I found myself longing to pick it back up, just to feel the weight in my hand and let the pages flick past. I found myself imagining living in the world of the story, meeting the characters, strolling through their houses, going out on their campaigns. I found myself daydreaming about what else could have been done with the story, the places Clarke didn’t take the tale, the magic never done. I felt drawn to the book (and still do – I’ve got it next to me on the desk now, and I want to stroke it like a cat). It’s definitely a book that people connect with. The training manager at work interrupted a meeting to gush about the book when he spotted it sitting on my desk. Our shy office newbie, who had barely said a word all day, suddenly started chattering away when she noticed it. I’ve had more comments at work about this book than the last dozen added together! I had a big issue with the ending. 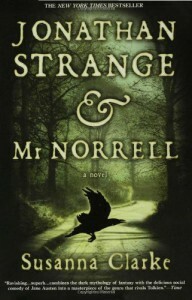 Jonathan Strange & Mr Norrell is a very, very fine book and even more remarkable for being a debut. It’s not always easy to read for everyone – but it’s highly recommended.